There are precious few clothing shops anywhere in the world that can still be called ‘destinations’: unique stores that aren’t in every country and every airport, where visiting them is a distinct pleasure of travelling to the city. I think New & Lingwood still deserves to be among those few. By holding onto its unique aesthetic, its range and specialities, it has if anything become more unusual and therefore more of a destination for the sartorially curious shopper. N&L carries 15 different colours of cords. It has trousers in five different tartans. The Mackintosh raincoats come in five colours, but the biggest sellers are orange and green; navy and grey are less popular. There is the biggest range of patterned over-the-calf socks anywhere in London. It is this range of colour and pattern that customers come to N&L for – and of course the loyalty of those customers allows the store to carry on stocking them. The second store across the Arcade is dominated by luxurious dressing gowns, all designed by director Simon Maloney in tiny runs. You need quite a fanatical following to justify that storefront selling just gowns from £850-£2250. More attractive is New & Lingwood’s unusual items. It is one of only two places in London that still has stiff collars and shirtfronts, for example; this season it is stocking both opera capes and postal capes; there are feather-covered hats in the window; and it continues to get odd requests from customers who turn to it as a last resort. Recently someone asked for ‘weepers’: black cotton armbands that go over a suit during a funeral, to allow the wearer a large surface area on which to wipe away their tears. The shop sourced them, and indeed stocked them for a while, though it no longer does. The quality is good. 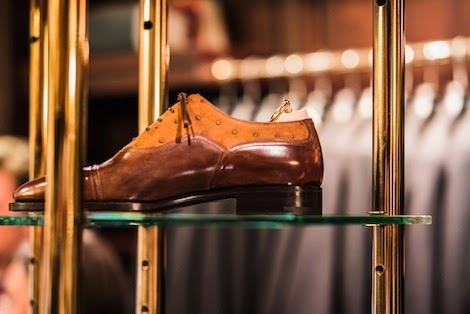 This is not bespoke or handmade clothing (unlike the Stefano Bemer shoes), but it uses British or Italian materials throughout and usually European manufacturers. The cords have side fasteners, not belt loops, as do the suits. The cords are Brisbane Moss, we’ve already mentioned Mackintosh, and the cashmere is all Scottish. Simon admits that the cashmere being made in China is now pretty much the same quality as that from Scotland, but they stick with Scottish on principle (even though it’s more expensive). A few years ago New & Lingwood started a licence deal with House of Fraser that allows it to sell suits and shirts under the New & Lingwood name. That’s unfortunate, for me, as it has the potential to damage the brand. But then shirts and suits are not the best thing about N&L by a long way. I’m more interested in those capes. When Autumn/Winter stock is all in we will follow up with a more image-heavy post on some of New & Lingwood’s more unusual items. You can follow the discussion on New & Lingwood: Colour, collars and capes by entering your email address in the box below. You will then receive an email every time a new comment is added. These will also contain a link to a page where you can stop the alerts, and remove all of your related data from the site. Please please please please please please please please please please please tell me you bought a cape! I think there’s a gap in the market for a Sartorial Superhero. I picture you caped, hiding inside that big letterbox on the row, ever ready to leap out and inform passers by about their jacket’s collapsed right shoulder, or missed tie dimple, or just to direct the yoof away from the fumes of A&F. Like it. Berating passers-by seems a bit bitchy though. How about whipping a well-coordinated scarf around their necks, or swapping their ill-fitting sweater instantaneously for a nice slim A&S version? Joking aside, capes for me highlight the ‘when does style become costume/fancy dress?’ dilemma. Perhaps it ultimately depends on the context for whatever garment. True. On me, it might always be costume. But on others, I can see it making complete sense. 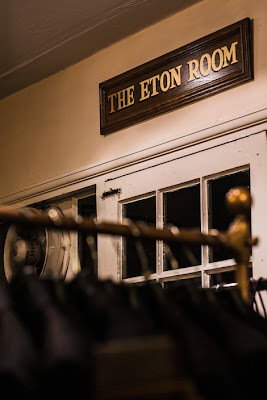 Have you been to their Eton store? Whilst they mainly cater to us students they have a a decent selection of otherwise fun garments, I was just wondering if you knew whether or not they priced things similarly in both stores? Yes, I’ve bought a jacket from Thomas Bauer, who was shop manager, which was on sale but not in London. However, the sale price was identical. The late Michael Howelett offered me his i.e. shop guardians for a hundred quid, but he got struck with an incurable nerve disease and cancer relapse which killed him before I could buy them. Michael was extraordinary, tailor by trade, and I miss him. Simon enjoyable as per usual. What would be really great would be more expose’s on young people entering the tailoring world, whether it be through apprenticeships, working with current tailors or starting up own brands! I do find that bringing youth into the equation makes everything more interesting and brings a spark to us the readers! In particular are there any notable young people working for or with Chittlebrough & Morgan besides Michael? As my favourite tailor it would be great to have a few people to look out for that may be inspired by the great firm! Sure. It’s actually just Joe and young people in there – Francis in particular. Davide of course is quite young, I’ve profiled all the A&S apprentices on The Notebook, Claire at Hawthorne & Heaney started her own business, I’ve talked about a few of the cutters and tailors and Poole, Thom Sweeney are both young, in fact it’s nothing but young guys! Thank you, I shall go through the archives. Any one you know of starting new businesses ? Claire at Hawthorne & Heaney; Chris at Boutonniere; Samuel at Troubadour goods; Nicholas at Le Noued Papillon; Nick at Opumo; even ASW and the Hanger Project are pretty new. Thank you, its always fun to discover try new materials, as well as the fact they are about half the price of the cashmere! Thank you for another informative read. The effort you put in to keep your site fresh and updated is much appreciated by me and many others too it would seem. Having read this article, I was interested in your opinion of New & Lingwood’s formal shoes. 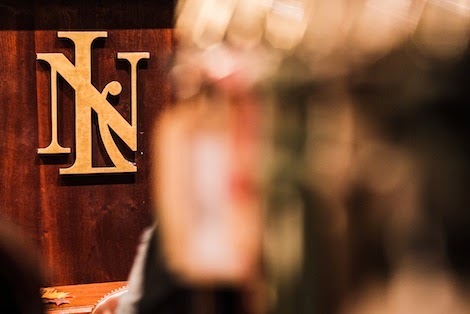 They seem to fit into the same sort of price bracket as Crockett & Jones and Alfred Sargent, who I have noticed you are fond of, but would you venture that N&L are also of a similar quality? I’ve enjoyed a pair of theirs for a few years now and was planning on getting another pair in this sort of price range so I would appreciate your thoughts as to whether a similar amount of money spent elsewhere might yield even better longevity and quality? N&L don’t make their own shoes, so they will be made by someone else. Most likely Crocketts – I don’t know though, I’ll have to check. Unless you really like the N&L designs, though, I’d normally go with the original manufacturer. I have bought several pairs of shoes from N&L and I think that, broadly speaking, they have been excellent quality. There is one particular pair I have which I am sure is made by C&J (based on style/font of labelling inside the shoe and the fact that I have read elsewhere that C&J make several N&L shoes) – they are black Oxford brogues (known as the “Chairman” model). They are very comfortable and have lasted well, save for some of the leather upper coming off on the toe cap and exposing white underneath. I imagine this would also happen if any other shoes were scuffed enough, but I haven’t seen this on other C&J shoes (bench or handgrade). Separately, I bought a New & Lingwood cashmere jumper (cricket large colourful v-neck style) about seven or eight years ago – I was an exceptionally broke undergraduate for several months thereafter. However, I still have it to this day and it looks like it came out of the shop just last week. Their cashmere really is top quality. simon, any idea who makes the cords for them (I assume Brisbane moss just produces the cloth)? cords are something I like to wear, but as a more casual trouser I cant justify going bespoke for them (or is something you think is worth going bespoke or even MTM for? ), its so difficult finding a pair that aren’t tight round the crotch and low slung off the rack these days. Very true – Cordings wide wale with side adjusters sinks to the hip bones. Purdey’s wide wale is far better constructed, but very few colours. Holland and Holland raised their price to £225. Does Simon Maloney still work for N&L? I sent him an email at smaloney@newandlingwood.com this morning to ask if additional models and colours of trousers will be exhibited online later, and my email returned undelivered. Is there space for a garment like a cape in a mans wardrobe today? I like the idea of them, but feel it’s more of an evening or occasional garment rather than an everyday piece. What are you thoughts on this?